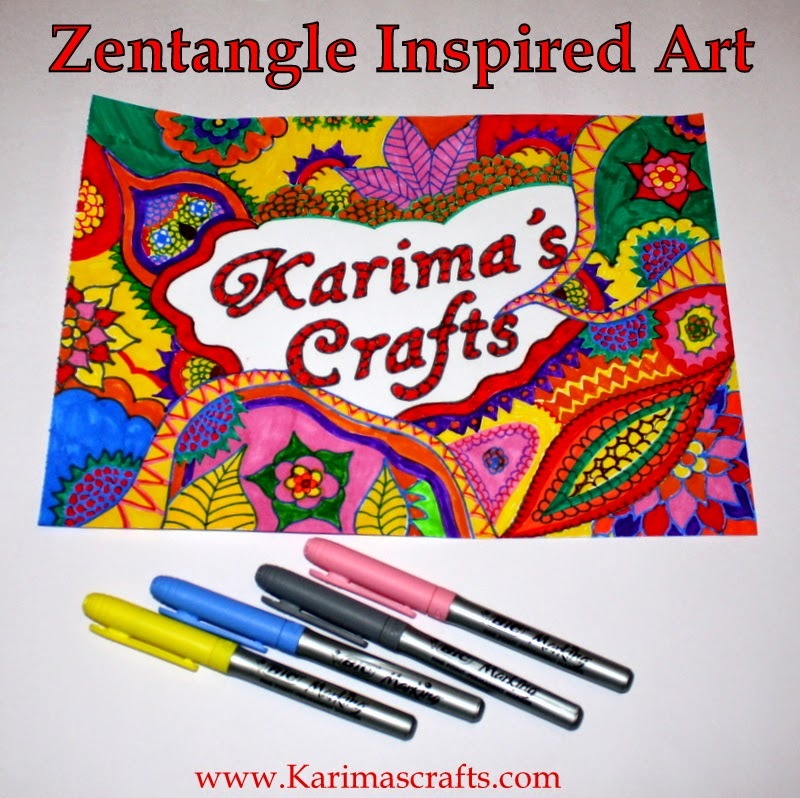 A friend of mine introduced me to the art of 'Zentangle'. I haven't drawn or coloured in anything for I don't know how many years! I love being inspired so I thought I would attempt to have a go at this type of art. 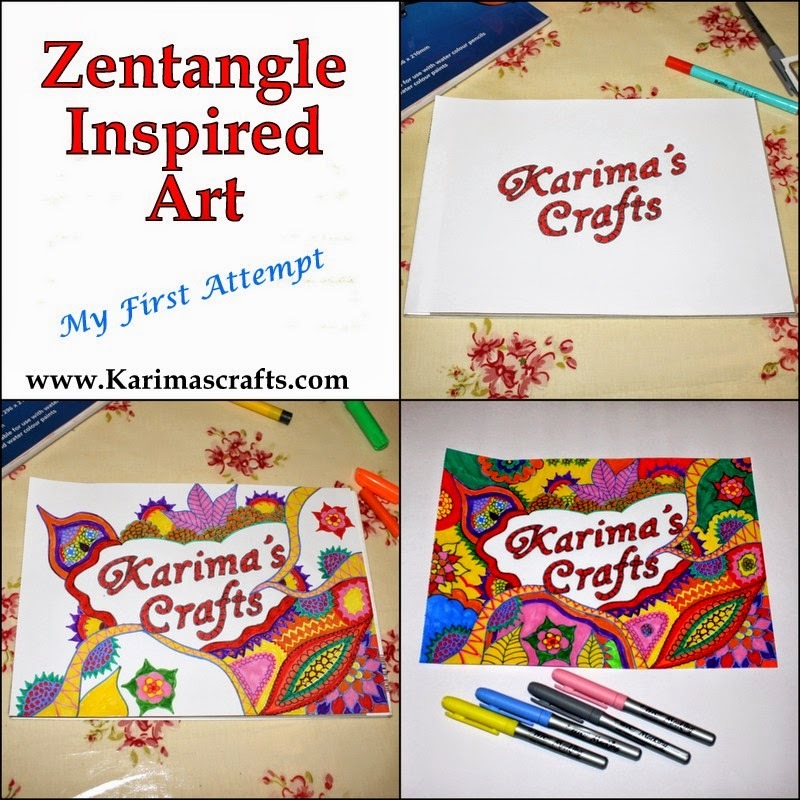 For my first piece and as of today my only piece I decided to do something that represented 'Karima's Crafts' so that was my beginning piece of my artwork. Basically Zentangle means you just draw as you go without any planning and see what you come out with. Apart from using the words everything else was just drawn without any prior pattern designing. I found this hard as an organised person myself, but I just let myself relax and go with the flow! I am quite happy with the final outcome. I used a variety of different pens for this piece of work. This took me a good few hours to finish and was quite therapeutic and I think this would be a good piece of art to do to release stress! So next time I am stressed I might start another piece haha! Much of Zentanlge Art is just black and white but I wanted something bright and colourful. 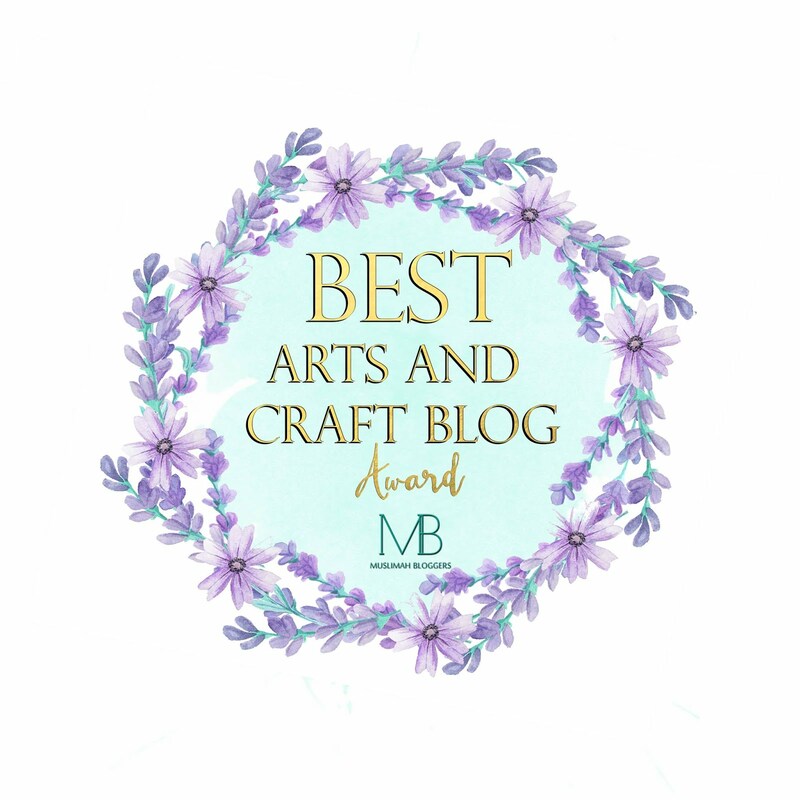 I hope that you are doing well, I have been very quiet for a long time, but I haven't forgotten all my blogging sisters. This art looks amazing, MashaAllah, it also seems like you had so much fun doing it. Wishing you a bright and colourful year ahead. So bright and cheerful, a great way to start a new year! Love this idea of drawing without any planning - never knew it had a name!! Really like what you came up with, tabarak'Allah. You are so crafty, it is ridiculous, masha'alah!